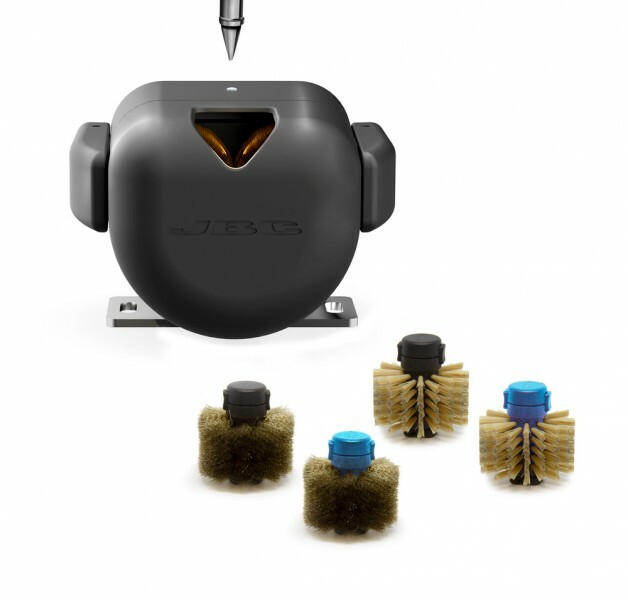 Thanks to the brushless motors that drive the cleaning brushes, the CLMU operation is extremely quiet. It features a large capacity tank with easy extraction and a large opening for easy tip access. The CLMR can be rotated up to 35° in both directions to facilitate the roboter arm access. The Tip Cleaner comes with 2 black-core metal brushes. They are easily exchangable. Different Brushes are available to suit your needs.